In Matthew 11:13, Jesus made this profound, yet enigmatic, statement: “All the Prophets and the Law prophesied until John” (NIV). Luke’s version of this declaration expanded what Jesus meant: “The Law and the Prophets were proclaimed until John. Since that time, the gospel of the kingdom of God had been preached” (Luke 16:16, NASB). The question that leaps off this page of Matthew’s Gospel is this, How did “the Law” prophesy? It is quite easy to understand how “the Prophets” prophesied, but how is it possible that “The Law” prophesied? First of all, it is essential to understand the subdivisions of the Hebrew Scriptures that were already in place within the Jewish community by the time of Jesus and probably as early as 200 BC. The Bible of the Jews was described as the TaNaKh, with the three letters of that Hebrew term serving as an acronym: T (t) for Torah or “Law,” N (n) for Nevi‘im or “Prophets,” and K (k) for Ketuvim or “Writings.” The Torah was the five books of Moses. The Nevi‘im were the writings of the prophets. The Ketuvim began with the Book of Psalms and included all of the hagiography, the sacred historical and poetic texts. Jesus demonstrated his understanding of the three divisions of the Hebrew Scriptures when he reminded the two disciples who walked with him on the road to Emmaus following his resurrection that “everything written about me in the Law of Moses, in the Prophets, and in the Psalms, was destined to be fulfilled.” Then, using the biblical principle that “in the mouth of two or three witnesses, everything is established” (Deuteronomy 17:6; Matthew 18:16), he “opened their minds that they might comprehend the Scriptures” (Luke 24:44, NJB; 24:45, NKJV). 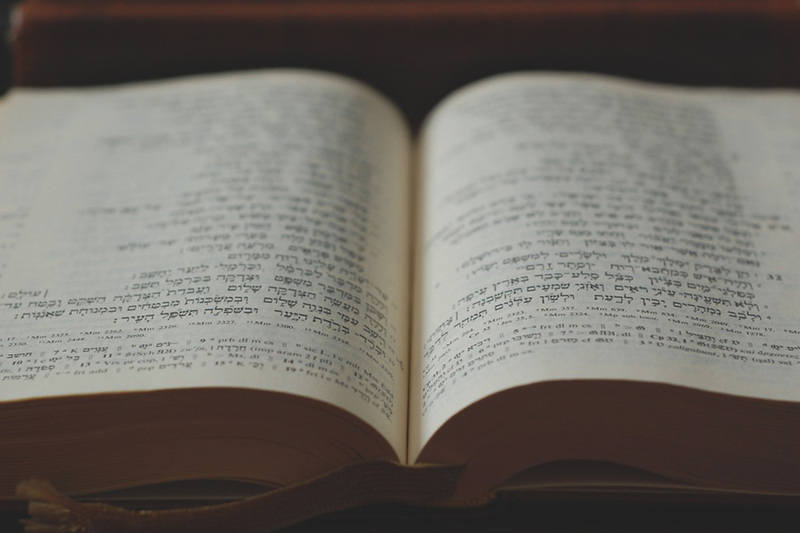 Jesus’ use of this teaching methodology proved that he maintained continuity with the rest of his fellow Jews by using the three parts of the TaNaKh to substantiate his teachings. In this conversation, he made it clear that not only did the Torah and the Prophets prophesy of him but also the rest Writings of the Hebrew Scriptures had also been written to reveal him. There is a scarlet thread that is woven into the very fabric of Scripture from Genesis to Revelation. This is the ever-unfolding story of the Messiah who was to redeem the entire world from slavery to sin and to establish the dominion of God in a kingdom of universal shalom (the peace of God). Messianism, then, is at the very heart of Scripture. The very first promise in the Bible, the protoevangelion, is a messianic prophecy in which God declared that Eve’s son would crush the serpent’s head (Genesis 3:15). The very last promise in the Bible is also a messianic prophecy wherein Jesus said to John, “The one who testifies to these things says, Surely I am coming soon” (Revelation 22:20, NRSV). While the prophets were prolific in their predictions about the Messiah, the rest of the Hebrew Scriptures also prophesied of the coming Son of Man through the circumstances and events that transpired in the lives of God’s chosen people. Everything that Israel did was prophetic. The Torah prophesied because it was a “shadow of good things to come,” though it “was not the very image” of what was coming (Hebrews 10:1). It presented pictures of what would happen in the Messianic era. Its people and events were “shadows of things to come,” but “the reality is found in Christ” (Colossians 2:17, NJB). Under this predictive principle, the entire Tabernacle contained pictures of the Messiah in type and shadow, simile and metaphor, parable and allegory, as is abundantly demonstrated throughout the Book of Hebrews. The Sabbath and all of God’s festivals (Leviticus 23) were also prophetic of the Messiah (Colossians 2:17). Likewise, the lives and ministries of Moses (Deuteronomy 18:15; Acts 3:22), Joshua (Hebrews 4:8), David (Psalm 22:16), Solomon (Matthew 12:42), and Zerubbabel (Haggai 2:3; Zechariah 4:6-10) also contained elements that prophesied of the Messiah. Additionally, the Hebrew Scriptures are filled to the brim with types of the Messiah, all of which met their antitypes in the life and ministry of Jesus. The prophets, the priests, and the kings were types of Christ. The sacrifices of the Temple, the systems of worship, and even the lives of pagan kings were predictive of the Messiah. Many are still prophetic of yet future events that will be manifest when Messiah Yeshua returns. Yeshua was the incarnate Word of God, God manifest in the flesh. He was Son of God and Son of Man. Everything that was contained in the written record of the Word of God that issued forth from the presence of the Eternal Father was, therefore, a part of the essence of the Living Word, Jesus Christ. The Messiah is everywhere in the Hebrew Scriptures. This is why Jesus commended his Jewish compatriots for searching the Scriptures diligently, thinking that in them they had eternal life and why he informed them that “these are the very Scriptures that testify about me” (John 5:39). The Hebrew Scriptures “are able to you wise for salvation through faith in Christ Jesus” (2 Timothy 3:15). Search them with all of your heart. The Law, Prophets, and Writings all prophesy of the Son of God, Yeshua HaMashiach.